DO BLACK PEOPLE REALLY DO THIS STUFF? First, Steamfunk; Now, Rococoa! 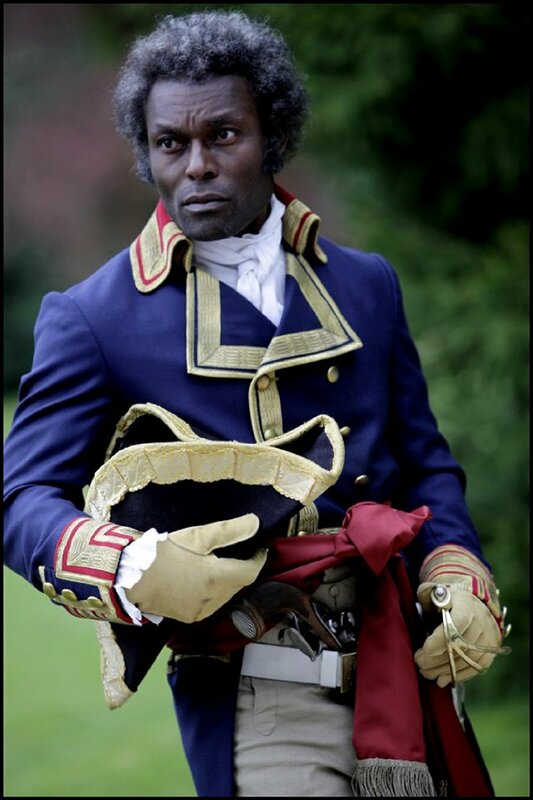 Photo from the Toussaint L’Ouverture Mini-Series, France Television. During last year’s wildly popular Mahogany Masquerade: An Evening of Steamfunk and Film, I inquired about the era that sits between Sword and Soul – the subgenre of African-inspired epic and heroic fantasy that is usually set before colonization – and Steamfunk, which normally takes place between 1837 and 1901. 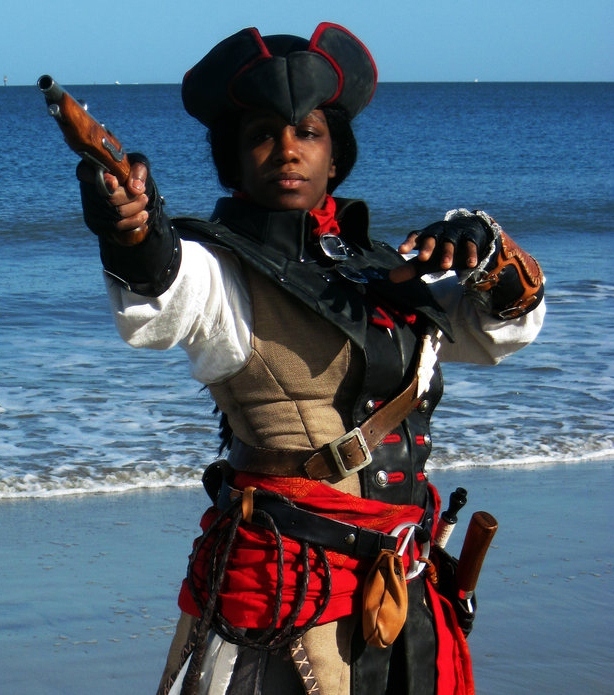 I asked if anyone had a name for that time because it is a time that fascinates me – a time of revolution (in particular, the Haitian Revolution); a time of pirates and swashbucklers; a time of reverence for art and science. No one at the event had a name for the era, however, everyone agreed the time possessed that “cool factor” found in Steamfunk and Sword and Soul. Curious by nature and a researcher by choice, I immediately began my quest of discovery, fueled by my determination to find a name for this era that fascinated me so. After a brief bit of research, I stumbled upon Rococo…and, to my surprise, Rococopunk. Rococo is derived from the French word rocaille, originally meaning the bits of rocky decoration sometimes found in 16th-century architectural schemes. It was first used in its modern sense around 1800, at about the same time as baroque, and, like baroque, was initially a pejorative term. The earliest rococo forms appeared around 1700 at Versailles and its surrounding châteaux as a reaction against the oppressive formality of French classical-baroque in those buildings. In 1701 a suite of rooms at Versailles, including the king’s bedroom, was redecorated in a new, lighter, and more graceful style by the royal designer, Pierre Lepautre (1648-1716). In the world of painting, Rococo style is characterized by delicate colors, many decorative details, and a graceful and intimate mood. Similarly, music in the Rococo style is homophonic and light in texture, melodic, and elaborately ornamented. In France, the term for this was style galant (gallant or elegant style) and, in Germany, empfindsamer stil (sensitive style). François Couperin, in France, and two of the sons of Johann Sebastian Bach – Carl Philipp Emanuel Bach and Johann Christian Bach – in Germany, were important composers of music in the Rococo style. From the Film “Brotherhood of the Wolf”. Distributed by Universal Studios. Rococopunk is – like Dieselpunk – a sibling of Steampunk, set in the earlier Renaissance era, primarily in the high-class French community of the time. Participants in this movement wear outlandish makeup and hairstyles and sport bold, brightly colored clothing. Think Amadeus, Pirates of the Caribbean, or The Adventures of Baron Munchausen. 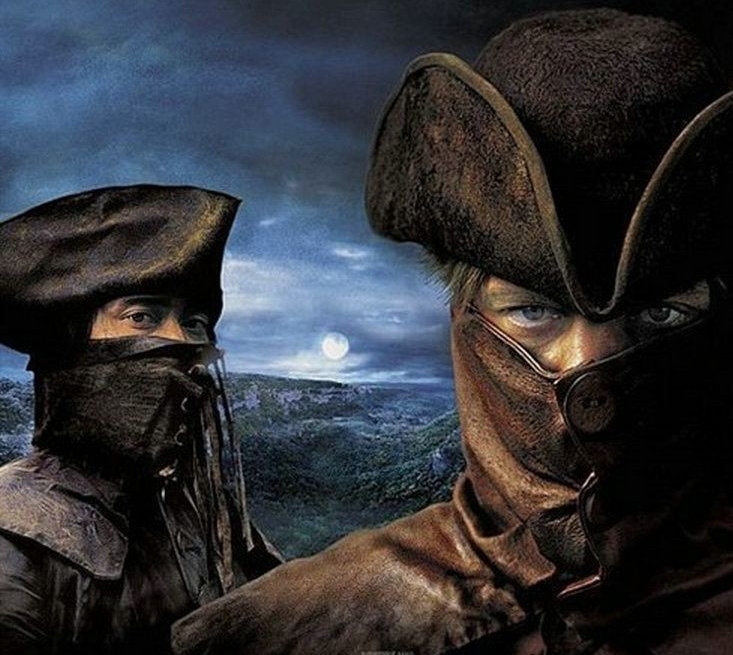 For darker Rococopunk – think Last of the Mohicans, Perfume: The Story of A Murderer, Brotherhood of the Wolf, or Sleepy Hollow. Before I could come up with a name myself, the brilliant Briaan L. Barron, artist and owner of Bri-Dimensional Images and recent graduate from Sarah Lawrence College, did it for me with her release of the animated documentary, Steamfunk and Rococoa: A Black Victorian Fantasy. While there is not much talk of Rococo or Rococopunk in the documentary – it is mainly about Steampunk and Steamfunk and features Diana Pho of Beyond Victoriana and Yours Truly – the spelling, Rococoa, was perfect! So, with a smile on my face, I now sit down to write Rococoa stories. Stories I will enjoy writing and hopefully you will enjoy reading. Steamfunk now has a sibling. Posted by Balogun on June 4, 2013 in Adventure, Afrofuturism, Dark Fantasy, Fantasy, Historical Fiction, Science Fiction, Short Story, Speculative Fiction, Steampunk and tagged rococoa, rococopunk, steamfunk, steampunk. Of course they are, there were Africans serving on Pirate ships, Naval Frigates, etc. Indeed, there were, Uhuru. Thanks, so much, for your feedback! Awesome. Looking forward to reading what you come up with. Obviously you’ve never heard of A Count Named Slick Brass. And while you are at it, google “Steampunk Gangnam Style”. If you dare. We are heavily involved in this era and the shaping of it. Check out Alexandre Dumas, writer of “The Count of Monte Cristo” and “The Three Musketeers” and now there’s a book out about his father “The Black Count” (http://www.randomhouse.com/book/140278/the-black-count-by-tom-reiss) who was a real life swashbuckler (although that book is written by a white guy). The film “Toussaint L’Ouverture” is great and I saw it premier here in Miami with Jimmy Jean Louis, so if you have an opportunity, it’s a must see! Then check out Jimmy Jean Louis who voices a character in my project “The Beach Chronicles” http://thebeachchronicles. Happy to see us get into this period and any period really, our stories traverse all time periods, they’re just not told. A steamfunk sibling for every era! What will be next? Looking forward to where Rococoa will take you! Brotha, I do NOT usually do this out in public but I JUST wrote a blog, basically commenting on this topic. There are those who believe we DON’T do “this stuff” and there were some, not very flattering comments, made in that respect. I would love for you and some of our family to check out my recent blog JUST to listen to the video commentary I posted. Ooooh, and PLEASE, please feel free to comment! Man, I am so glad I met you and Thank You all.